Finding a good deal on photography gear can make you week. Some photographers wander into the world of gray market discounts to save a few bucks. Personally, I don't recommend it. But closeout items fall into a different category. They're simply being replaced by a newer version. 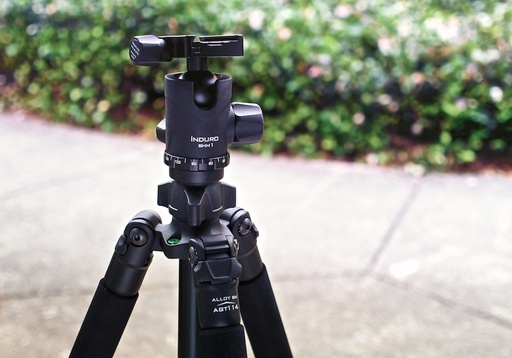 This Induro Grand Turismo tripod originally sold for over $400. I bought it for $139 with free shipping from B&H on closeout. It's one of the best tripods I've ever purchased. Many of the items we need, such as light modifiers, tripods, and camera bags don't really lose their value. It's not like your old camera that has a 12MP sensor being replaced by one with 20 MPs. These durable goods are excellent candidates for big savings. For example, I recently purchased a Induro Grand Turismo AGT114M1 Aluminum Tripod Kit for $139 with free shipping from B&H Photo. Apparently, Induro is moving to all carbon fiber components. 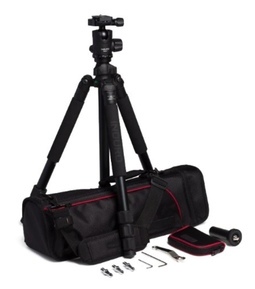 The kit included the tripod with both long and short center columns, tools in a zipper pouch, deluxe case with two compartments, shoulder strap, and Arch Swiss compatible ball head with quick release plate. Everything was shipped in its original packaging, brand new. The ball head alone is worth more than I paid for the entire works. The Induro weighs 4 pounds, extends to 62", folds to 17", and can handle a load of 27 pounds. Every component is finely machined and handsomely designed. It's a beauty... for $139. Since I publish photography news daily on a number of sites, including this one, I keep an eye out for great deals. And I share those deals with my readers. I did publish the B&H closeout on both my Twitter feed and on our Facebook page. Maybe someday I'll have a carbon fiber tripod too... that is if the price is right. But for the moment, I'm enjoying my $139 Induro alloy set of sticks.